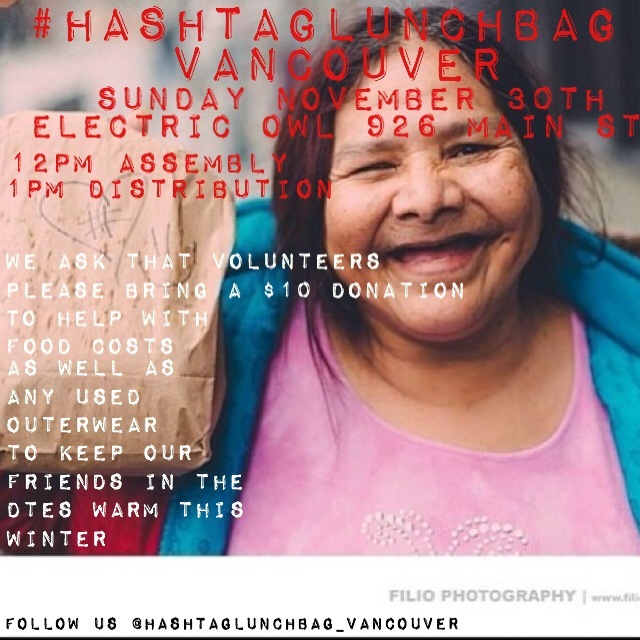 Join us November 30th for our next #Hashtaglunchbag Vancouver! We will be assembling lunches at The Electric Owl on 926 Main Street at 12pm and distributing them on the Down Town East Side at 1pm. 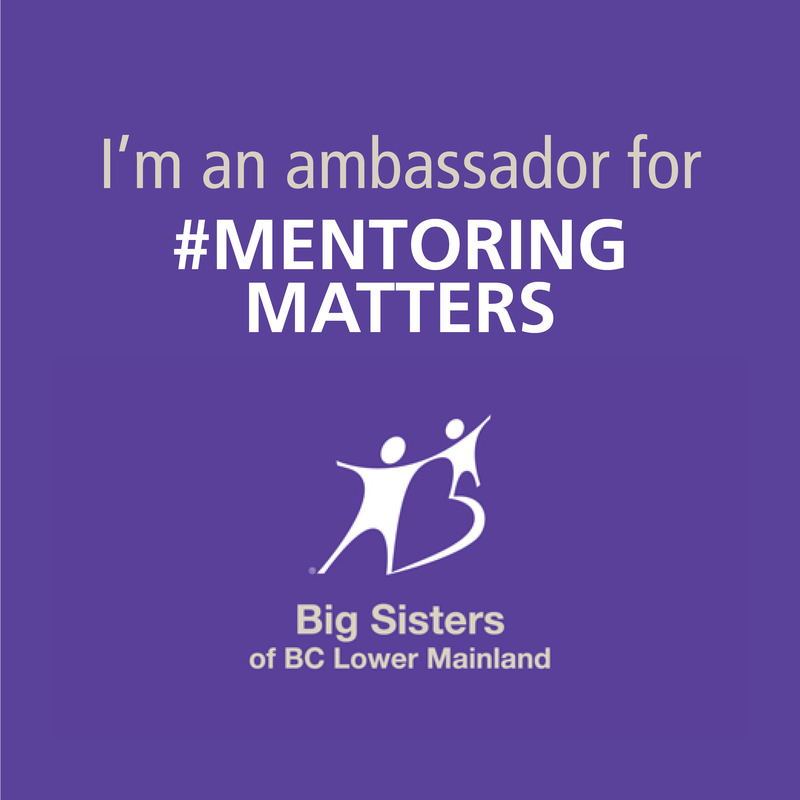 We are asking volunteers to bring a $10 dollar donation to help with food costs as well as any used outerwear for our friends in the DTES to stay warm this winter! Please remember that our events are child friendly, so feel free to bring your little ones down to help give where we live.